All Oceanside homes currently listed for sale in Oceanside as of 04/21/2019 are shown below. You can change the search criteria at any time by pressing the 'Change Search' button below. If you have any questions or you would like more information about any Oceanside homes for sale or other Oceanside real estate, please contact us and one of our knowledgeable Oceanside REALTORS® would be pleased to assist you. "Imagine the sound of pounding surf while you enjoy an ocean sunset. Wake up to views of Cape Lookout and Three Arch Rocks. 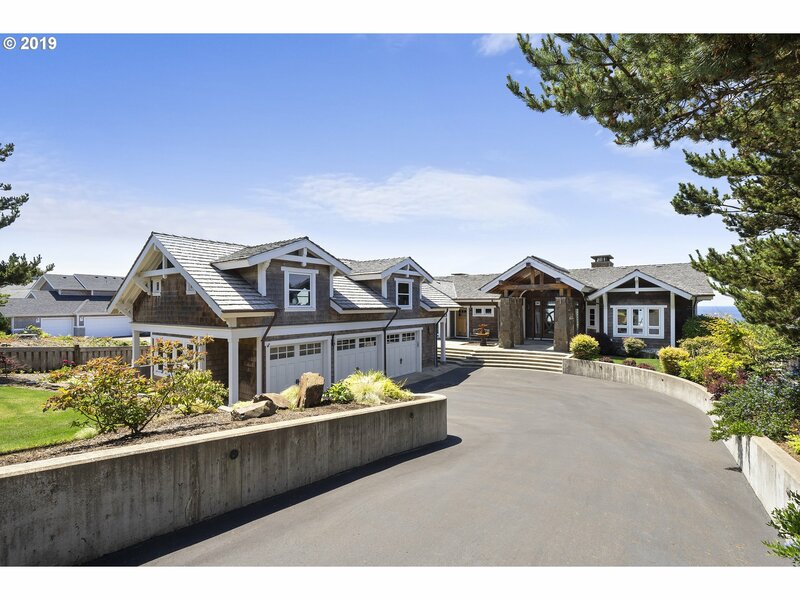 You deserve the best and this exquisitely built craftsman masterpiece was built with impeccable attention to detail. Sited atop a high bank, you will be able to entertain from your gourmet kitchen finished with Acacia wood, granite and stainless appliances. Wine cellar, spacious family room, wet bar, sauna and more." "OCEANFRONT LANDMARK HOME in the quaint and picturesque village of Oceanside. View to eternity include 3Arch Rocks, 3 mile beach & Cape Lookout. Rare opportunity to purchase this one owner grand beauty designed with all essential rooms accessible on the ground floor. See detail sheet for long list of exquisite amenities. Full guest quarters on lower level. Garages are a car collector's dream, plus large 286sf storage room off garage." "OCEANFRONT-ISH PRAIRIE style home which blends with the landscape. Rows of windows bring the outside in. Crows nest master suite provides panoramic ocean view filtered by regal pines, frequented by eagles. Oceanview great room with granite kitchen boasts dark hardwood floors. Clear fir doors & millwork. Many built-ins, including 2 working nooks. Artistically crafted architectural beauty. 4th bdrm is multi-purpose. Private beach trail." "GORGEOUS LARGE OCEANVIEW HOME. Light & bright throughout with beautiful architectural ceilings. Quiet culdesac street. Gourmet kitchen with stone counters, custom wood cabinets, wetbar in greatroom with wine frig & icemaker. 4 large ensuite bdrms plus giant open loft. 5 full travertine bathrooms. Fireplaces in 3 bdrms + greatroom. Rich hardwood floors & stairs. Upscale appliance & light fixtures. Vacation rental allowed. Outside shower"
"Spectacular house located within the prestigious development of Terrasea in Oceanside. Expansive floor plan w/ panoramic ocean views. Perfect for entertaining or hosting guests. 4BD's, 4BA's, gym and separate studio w/ hot steam shower and home theatre. Attached 2 car garage and extra RV sized driveway. Trex decks all around for lunching/lounging outside on sunny days. Lush adjacent lot available for even more privacy. Excellent value!" 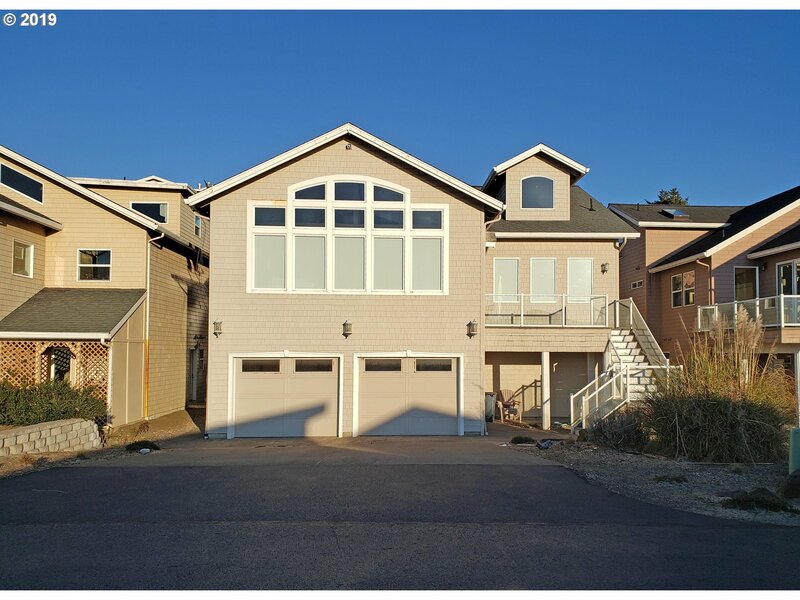 "Spectacular ocean views from this luxurious spacious 3 bedroom 3 bath home! Features include beautiful wood burning floor to ceiling river rock fireplace, tight knot cedar ceilings, granite kitchen with stainless steel appliances, hard wood floors plus bonus room down & separate entrance leading out to relaxing hot tub. Awesome coastal decor adds to the elegance of this one of a kind home! Currently a vacation rental with good history!" "ROMANTIC OCEANVIEW VACATION RENTAL in the heart of the village just yards to beach & restaurants. Solid cherry cabinets & lots of cherry built-ins, jet tub for 2 in oceanview master suite which opens to view deck. Garage converted to family rm. Small easy care yard. Big open kitchen with breakfast bar. Underground power lines. May be sold furnished." "Ocean view! Beautiful light and breezy architect's own home. Attractively situated on an angle so that garage is accessed from side. Dramatic entrance with no steps leads to open floorplan with master suite on the entry level. Wood or gas fireplace in greatroom featuring walls of ocean view windows & wraparound Wolf deck. Large kitchen, custom cabinets & glass front pantry. Double oversized garage with bonus room. Next to beach trail!" "Absolutely stunning townhome located in the quiet gated community of The Capes in Oceanside. 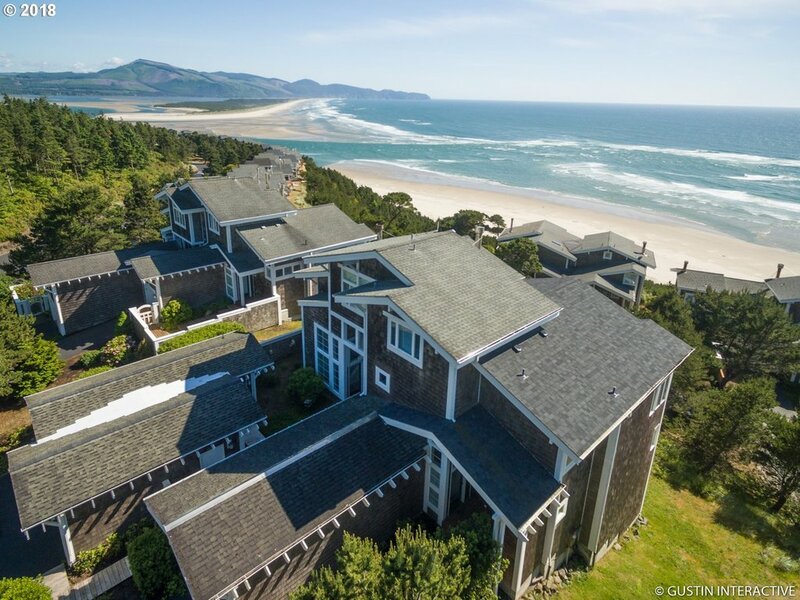 Spectacular vistas of sand and surf all the way to Cape Lookout's forested headlands. 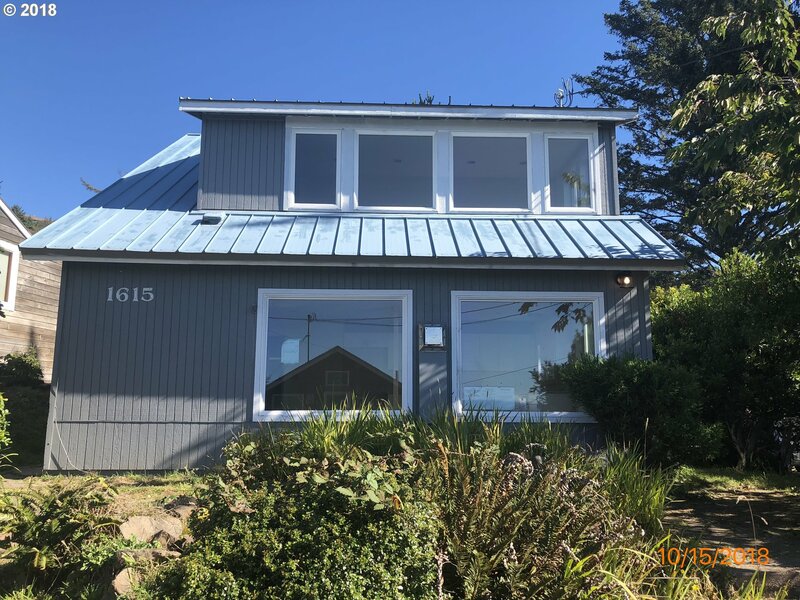 Home features 2 master suites, open floor plan with wall of windows perfectly capturing epic up-close ocean views, light and bright kitchen, fireplace, lots of built-ins and sleeping loft. Community staircase to beach." 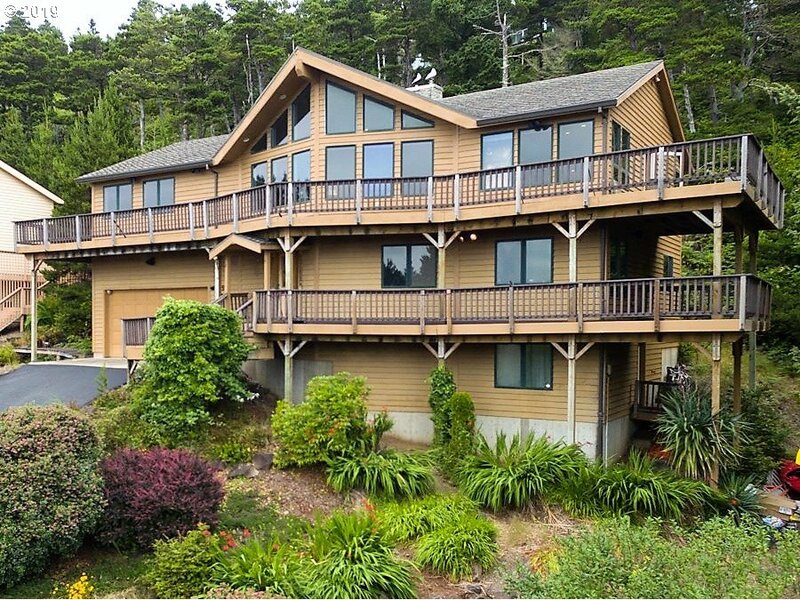 "SPECTACULAR OCEAN VIEWS: year round sunsets and dramatic winter storms from windows and two decks facing the beautiful ocean are a plus! A fenced in Courtyard with the Main Entrance. Two master bedrooms suites, one with a Jacuzzi tub on the lower level. An additional room in the upper loft, a perfect location for an office or the third bedroom. Come and enjoyed sunny days at the beach, relaxing in front of the fireplace or out on one of"
"Oceanview home located on a large private lot in the heart of the Village. Views from large bedroom, living room, dining area and deck. Upper level offers open, light-filled living room, kitchen and dining area, two bedrooms, full bath and large ocean-facing deck. On the main level you'll find an enormous bedroom, family/activity room, full bath, laundry area and attached one-car garage with lots of extra storage. Vacation rentals ok."
"What a location! Charming beach cabin located just a block and a half to the beach in the Village of Oceanside. Sensational up-close views of sand and surf. 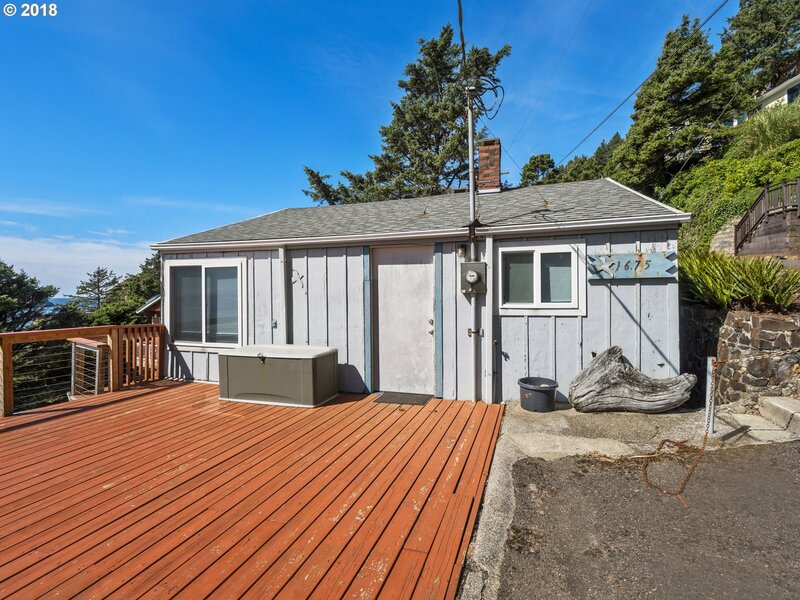 1BD/1BA, kitchen and living room upstairs with large ocean facing deck. 1BD/1BA, family room, and covered patio downstairs with separate entry. Double lot provides elbow room and excellent opportunity for additional outdoor living area. House needs some exterior TLC." "AFFORDABLE GEM! Decks on all 3 levels look out to a beautiful green wall of trees sheltering you from the coast breezes. Upscale interiors include architectural ceiling & stone tile. 2 cozy frplcs, wetbar, open kitchen, & a touch of luxury with your own personal elevator. Access the beach along Fall Creek trail without crossing the highway. Vacation rental allowed. No HOA fees. Not in flood plain, not in tsunami zone. Jump on this one!" "Beautiful Condo overlooking the ocean with breathtaking views! This unit boasts an open concept living area, large master suite, cozy environment to relax & enjoy beach living! Great community with tons of amenities. Come take a look!" "The quintessential beach cottage nestled on the hill in Oceanside Village. Recently updated with new exterior and interior paint, new kitchen cabinets and SS appliances. Great ocean views. Short walk to the beach. Metal Roof. Wood floors were just refinished and new carpet installed in bedroom and bonus room.. Luxury Master bath. Detached garage with studio that includes bathroom, kitchenette and a private entrance." "Vintage 1950's cabin completely restored and move-in ready. 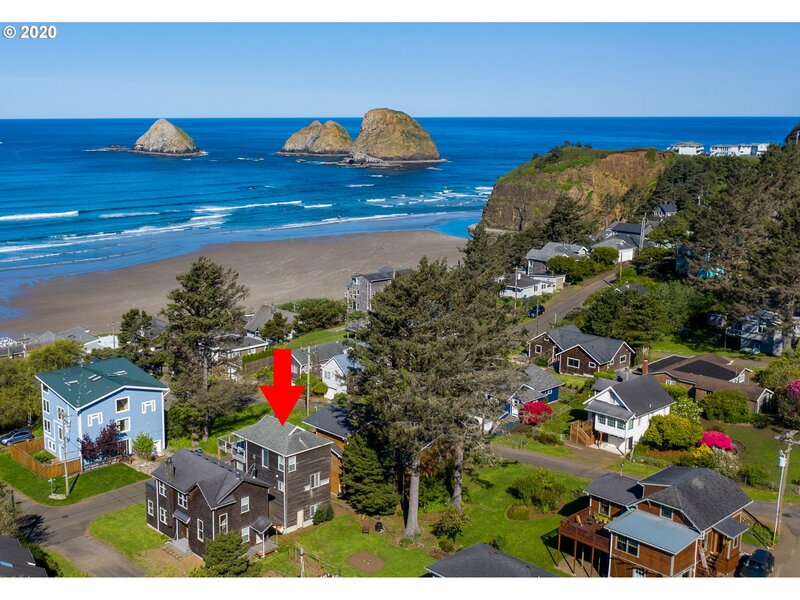 Ocean and beach views including Cape Meares Lighthouse! Newer roof (2016), windows, carpet, paint, and ductless heating system. Enclosed outdoor living space and ocean view deck. Beautiful open kitchen w/ original pine cabinets. 775 square feet of unfinished daylight basement with garage and bonus room. 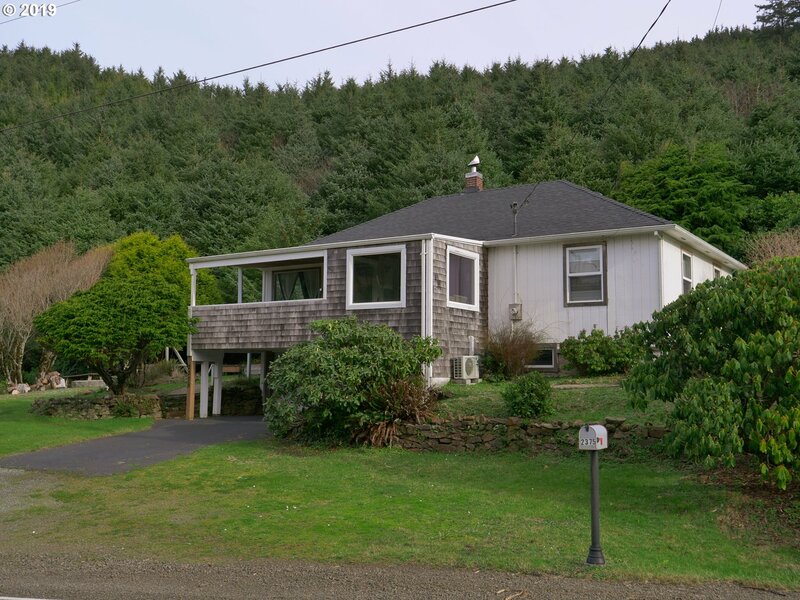 Large treed lot with level ocean view picnic area and garden shed. A gem!"